School starts back up this Monday, and I’m sure a lot teachers and students are dreading the early mornings and the long hours of class. So in hopes of making people a little less upset that summer break is over, I thought I’d pick my top 5 favorite teachers from film, and remind ourselves how much EVERY teacher can impact our lives. Low on cash; Dewey Finn poses as his brother so that he may substitute teach at a very posh school. He ends up teaching his students about classic rock and roll, and turning them into his own miniature rock band. If there is one thing I love, it’s someone who’s excited about what they do. Dewey isn’t the best academic teacher. But when it comes to teaching these students about music, he instills a passion in them that they never knew they had. Tina Fey played the sympathetic math teacher in the popular teen comedy, Mean Girls. Not only is Ms. Norbury unintentionally hilarious, but she also tries to help pull Cady (Lindsay Lohan) away from the vicious Plastics and gear her into the Mathletes. And of course, who could forget how she led all the female students in a giant confession and apology to one another, pleading with them to quit hating on each other. Based on a true story, Stand and Deliver portrays a rebellious math teacher who transforms his seemingly hopeless, uninterested students into the top-scorers in the state. Their achievement is so astonishing that the school board accused the Latino students of cheating. Proof, that if you have enough faith in your students and don’t give up on them, they can accomplish anything. She’s the unbelievably sweet teacher we wish we had as a kid. 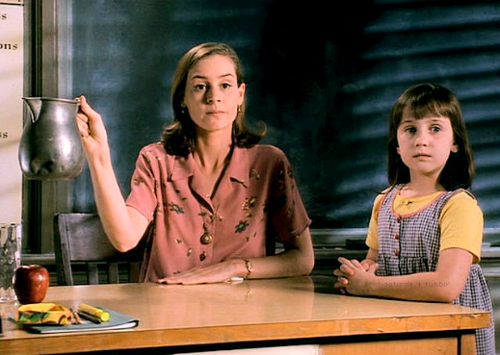 Miss Honey bonds with Matilda (Mara Wilson) over their troubled childhoods and eventually adopts Matilda as her own. As if Matilda wasn’t lucky enough already with her magical powers and finally escaping from her grotesque family, she gets to split a piece of what I can only imagine taste like heaven, chocolates with Miss Honey every night. In a school of young men who have their lives laid out for them, one teacher dares to define the system with his unorthodox methods of teaching. The late, great Robin Williams gave an incredibly touching performance as a teacher who inspires the lives of his prep school students. His lessons are active, they’re lively, and he motivates his students to explore their true callings. He taught his kids that there is more out there than just the jobs their parents have on hold for them. They can become writers, actors, or whatever their creativity guides them to do. If there were ever a film that made me want to teach, it was and still is Dead Poets Society. 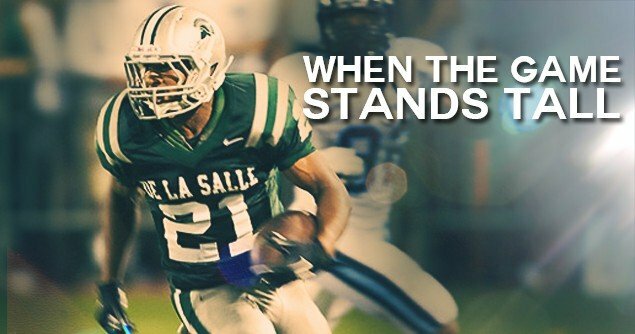 When the Game Stands Tall is inspired by the true story of celebrated football coach Bob Ladouceur (Jim Caviezel), and the personal trials he endured while leading the De La Salle High School Spartans on a remarkable 151-game winning streak. But, this film isn’t about a high school football team wanting to win. It’s about being able to accept their losses and learning that there is much more to life. I got a chance to sit down with director Thomas Carter (Coach Carter) talk about his new movie, his fears, and the other films that have given him inspiration. There’s a great part when the Spartans play Poly and the quarterback, Chris Ryan, gets injured. And he tells his team mate, “The only way I’m leaving this game is on a stretcher.” What’s something for you that you would have to be practically dying for you to miss out on it? There’s a great message in the film, “it’s about the man next to you.” Can you kind of discuss the meaning behind that quote? The film is also about facing your fears, the Spartans certainly do that when they play Poly. 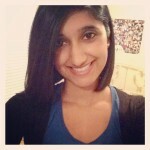 What is a fear of yours that you maybe have already faced or hope to face someday? Yeah for sure, this is one of those movies that while you’re watching, it’s both uplifting and inspiring. So, do you have another movie that also gets you in that inspiring mood? The haunting story of “The Giver” centers on Jonas (Brenton Thwaites), a young man who lives in a seemingly ideal, if colorless, world of conformity and contentment. Yet as he begins to spend time with The Giver (Jeff Bridges), who is the sole keeper of all the community’s memories, Jonas quickly begins to discover the dark and deadly truths of his community’s secret past. With this newfound power of knowledge, he realizes that the stakes are higher than imagined — a matter of life and death for himself and those he loves most. At extreme odds, Jonas knows that he must escape their world to protect them all — a challenge that no one has ever succeeded at before. Lowis Lowry’s best-selling novel is one that most of us read back in school at some point. I say “most of us” because I can admit, I read the Spark Notes on this one. 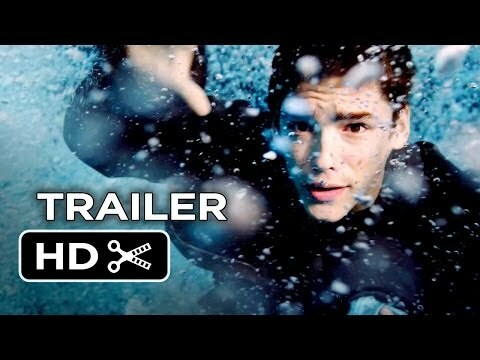 On paper, this tale is a classic and truly unique for it’s time, but on screen The Giver isn’t really worth receiving. Though the film is decent enough, there isn’t much oomph to the story. The acting is solid, but as a whole The Giver is an insipid movie that will soon be forgotten as its competitors’ (Hunger Games, Divergent) sequels began to surface. The Giver hits theaters August 15. What’s being deemed as this year’s 500 Days of Summer is the story of Wallace (Radcliffe), a med school dropout who’s given up on love after a string of failed relationships and Chantry (Zoe Kazan), the potential girl of his dreams. The two meet at a party and have an immediate connection. Their spark is quickly extinguished, however, when Chantry mentions her boyfriend. Regardless of the circumstances, Wallace would rather have Chantry in his life as friend than not all. It’s an awkward challenge for both of them as they are faced with the age-old question: Can a guy and girl just be friends? I have to say, right off the bat, that What If… is incomparable to 500 Days of Summer. I can see how the characters may correlate from the two films. But as a love story, writer Michael H. Weber (500 Days of Summer, The Spectacular Now) continues to be in a league of his own. What If… does not provide any sort of originality in its narrative; in fact it’s about as formulaic as they come. But thanks to the film’s charismatic cast, the movie is surprisingly pleasurable the whole way through. Zoe Kazan is rapidly becoming the queen of the indie flick world, with films like her offbeat romance, Ruby Sparks and her dark comedy, The Pretty One. She brings a refreshing flair to every character she plays. And who knew Harry Potter could slide into the quick-witted male lead with such ease. 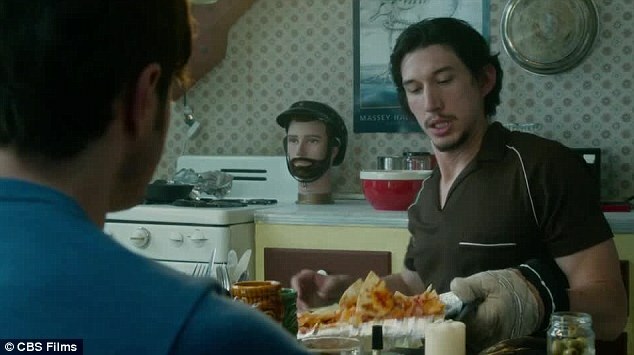 What comes as no surprise is the scene-stealing Adam Driver, who plays Allen, Wallace’s best friend who also happens to be Chantry’s cousin. Allen is the uproarious link that caused their initial interaction. Frankly, I would have rather watched Allen’s romance with Nicole (MacKenzie Davis), an outspoken, sexually driven wild-child that actually meets Allen at the same party where Chantry and Wallace first met. Nicole and Allen handle their immediate connection through a more spontaneous route, skipping all the usual steps of a regular relationship. What If…easily outweighs in comparison to the other cliché Katherine Heigl disasters we’ve endured. But given its subject matter and the potential this story had, I can’t help but be slightly disappointed with the entirety of the film. So many movies try to tackle the “just friends” premise, but only rarely do they pull off the complexity and authentic emotion behind a friendship that has more than platonic feelings. If you’re looking for that kind of story, I suggest you watch Drinking Buddies; it’s one of the few that flawlessly explored a true test of whether or not men and women can just be friends. The great message here, and what is really the central focus of this film, is how when you’re lucky enough to find that instant connection with someone, is it best to wait it out and see where it goes, or do you jump on your feelings and take a risk before you miss an opportunity? What If…is an undoubtedly cute, quirky, romantic comedy that most audiences will enjoy. Get On Up may confuse with it’s non-linear timeline, but there is no misunderstanding the brilliance of Chadwick Boseman. In last year’s 42, Boseman played baseball legend Jackie Robinson as a man suppressing his pride and bottling up his anger. It was a strong breakout performance by an actor we knew we’d be seeing again very soon. He then made a small appearance in the underrated Draft Day, as hopeful pick for the NFL draft. In Get On Up, Boseman gets the chance to let loose in a firehouse of passion, funk, and intense ferocity. The story itself may not have audiences captivated, as the constant back and forth jump from one year to the next tends to scramble the brain. I understand not wanting to follow they typical bio-pic formula but in an attempt to be different, they might have lost track of what is more effective to moviegoers. Getting emotionally wrapped up in one scene only to be abruptly pulled away to a moment that occurs 5 years later is not only frustrating, but it is distracting. You don’t want to to forget what you just saw because you know they will be coming back at some point to finish the scenes they just started (confusing, I know). So instead of concentrating on the current sequence, you are bookmarking everything you watch. Luckily, this film isn’t about the story, it’s about the performances. 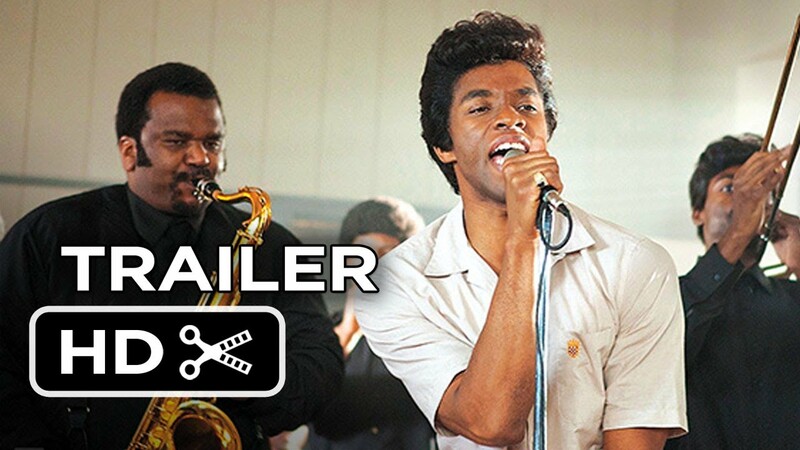 Chadwick Boseman’s phenomenal portrayal as James Brown and his A-list supporting cast is all you need to remember about this movie. The Help alums: Octavia Spencer, who plays Brown’s brothel-owning aunt, and Viola Davis, who plays Brown’s neglectful mother, slides in for the film’s most emotional scene. But it is Nelsan Ellis, who plays Bobby Bryd-Brown’s loyal best friend, that proves once again, he is more than the flamboyant comic relief as seen on True Blood every week. Boseman and Ellis share great chemistry on screen and complement each other extremely well. In comparison to the recent bio-pic/musical, Jersey Boys, Get On Up wins by a landslide. The acting, the story, and most importantly the ability to have us care for the characters. Had the story just been slightly more chronological I would have given the film a much higher rating, but none of the faults in Get On Up deteriorates from the sensation that is Chadwick Boseman.